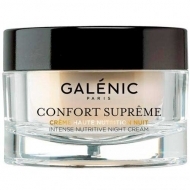 DESCRIPTION: Confort Suprême Créme Légère Nutritive from Galénic is a light, fondant, non-oily cream with an oriental floral fragrance powder. In her heart, a sweet veil of white jasmine, argon and magnolia, reinforced by more intense notes of vanilla, coumarou and cashmere. 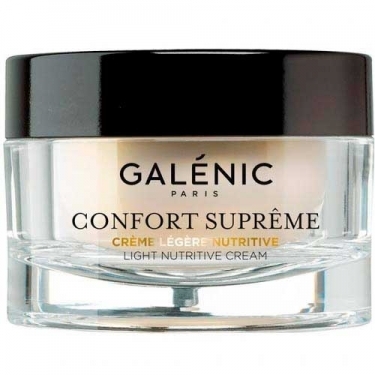 This cream contains an exceptional nutritional formula, enriched with precious argon oil, rich in essential fatty acids, which nourishes the skin and protects the skin barrier, which combines with moisturizing agents and vitamin E, antioxidant. 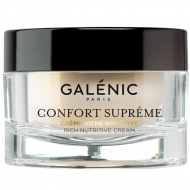 Ideal for normal to dry skin, with sensation of pulling and discomfort.